Beverages just aren’t the same when they don’t have ice. It’s nearly impossible to feel cooled down, or even satisfied when you’re drinking something that’s the same temperature as the room you’re standing in. If you’re the owner of a Los Angeles business, you know a malfunctioning ice machine is more than a mere inconvenience. The broken ice maker can actually cost you business and a great deal of revenue. If you can’t provide your customers with the ice they crave, they will go to your competition. The sooner you get your ice maker repaired, the easier your life will be. Beverages just aren’t the same when they don’t have ice. It’s nearly impossible to feel cooled down, or even satisfied when you’re drinking something that’s the same temperature as the room you’re standing in. If you’re the owner of a Los Angeles business, you know a malfunctioning ice machine is more than a mere inconvenience. The broken appliance can actually cost you business and a great deal of revenue. If you can’t provide your customers with the ice they crave, they will go to your competition. The sooner you get the problem corrected, the easier your life will be. On the other hand, we’ve seen some of the work our completion has done, and based on what we’ve seen, we fully understand why some L.A. businesses and residents decide to purchase a new unit rather than repair their current model. It’s clear the only thing some of these businesses care about is making a quick dollar. You should know the repairs on your ice machine might not cost nearly as much as you expect. We have gone to great lengths to keep our overhead has low as we can so we can pass these savings on to you. Based on the information you give when you contact our customer service department, which is ready and willing to listen to your problems 24/7, we will be able to provide you with an estimate. We promise this estimate will reflect the cost of repairing your ice maker. We won’t hit you up with any hidden fees, nor will we charge for the travel time between our L.A. Fixit office and your home or business. parts. If we need to swap one of your ice makers worn out parts with a new version, you can rest assured the part will be top quality and manufacture approved. Since both the state of California and the Federal government have created strict laws regaring how chemical coolants can be vented into the atmosphere we have taken the steps to ensure every single one of our service trucks has been equipped with the equipment needed to provide proper containment of the chemicals, preventing leaks until the coolant can be properly disposed of. 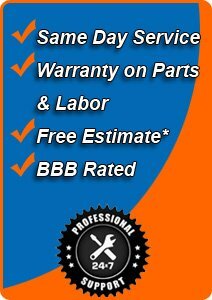 The technicians at L.A. FixIt have been factory certified and approved to fix any brand of ice maker you might own. The sooner you contact L.A. Fixit and alert us to the problem you’ve encountered with your residential or commercial ice machine, the sooner one of our techs can make the repairs, so you can get back to enjoying iced and refreshing drinks. L.A. Fix it is a family owned business that has been repairing ice makers since 1986. Since we first opened our doors we’ve encountered just about every known problem and know how to deal with it. With a rare exception we can provide a very accurate diagnosis over the phone. More than one client has been astounded by how quickly we go their ice maker fixed. They had fresh clean ice before their life experienced much upheaval. When you contact L.A. FixIt and make arrangements to have one of our brilliant repair technicians come to your home or business, you can rest assured you’re going to get the benefit of fast and accurate service without having to worry about gimmicks, bad parts, or hidden charges. In addition to repairing ice makers that have ceased to work properly, we also provide maintenance. I had a problem with my sub zero ice maker and freezer being that it did work properly or make ice cubes so I then called La Fix-It. Mike their technician came out the same day. He repaired my ice maker and freezer in a knowledgeable and efficient manner plus friendly service. He also has maintained my commercial freezers for three years. Mike the technician also gave me information on keeping my refrigerator-freezer in good working condition. I would highly recommend La Fix-It.